Anna has been sharing the importance of renewable energy. Interested in volunteering? Find out how you can get involved! Getting involved with CAFOD at events. Throughout the year, young leaders receive training on different leadership skills such as planning, organisation, communication and presentation. They also gain a deeper understanding of CAFOD and our mission, vision and values, as well as learning about our work with partners and communities in developing countries around the world. 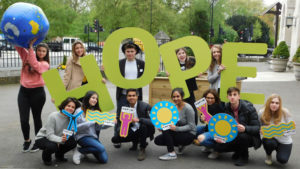 The young leaders then take part in, and help to organise volunteering activities in their school or parish communities on behalf of CAFOD, encouraging others to take global justice action. 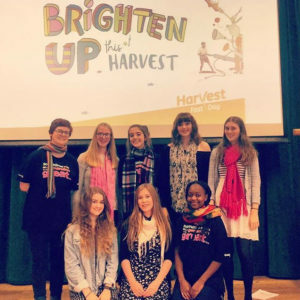 This is often in the form of fundraising, peer education and raising awareness through assemblies or lunchtime clubs, leading campaign actions or through prayer and liturgy. We are approaching the end of the year for our team of young leaders, and as we celebrate their work, and they graduate from the programme, we’re reflecting on just how amazing they are. 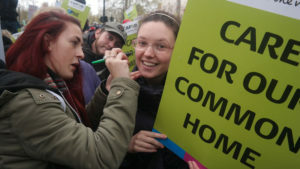 Emily (front row, centre) volunteering with CAFOD. “CAFOD allowed me to feel as though not only was I educating my own community but that I was also giving hope to a new one. As a figurehead for our campaign, due to her age and position Rebeca was so relatable to us all and I felt relieved that all our work could go towards helping people like her. Join our Power to be campaign! Cameron was part of the young volunteers team at Flame 2017. 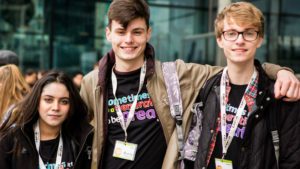 Cameron volunteered at Flame 2017, an event for 10,000 young Catholics on 11 March. Alongside other young volunteers, he ran activities with the Flame crowd to raise awareness of CAFOD and global justice issues. 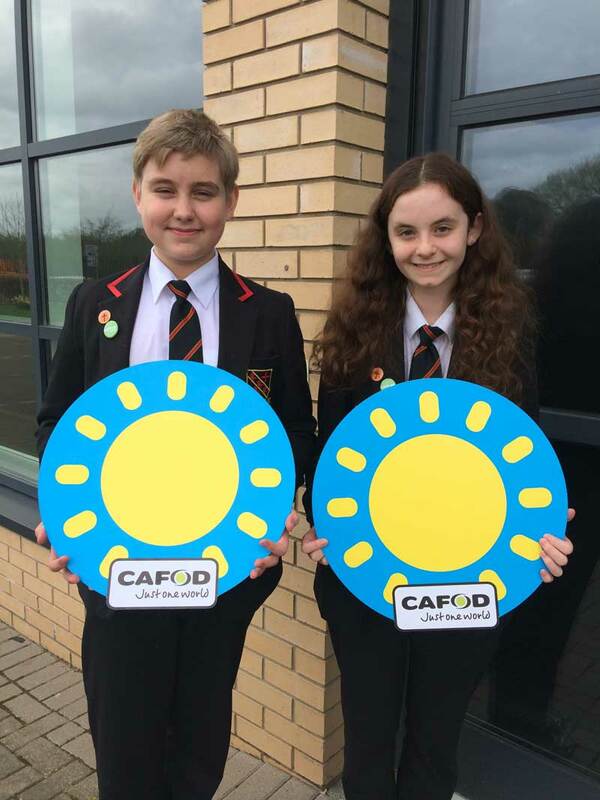 We’re so proud of all our young leaders who have given an enormous amount of their time and effort over the past year to support CAFOD’s work. It’s fantastic to know that we have a great generation of young people across England and Wales who will continue to work for justice in solidarity with the communities we work with.